Vasavi GP Trends is located on outer ring road in a stone throw distance to IT hub (Financial District), this is the most upcoming belt in Hyderabad. 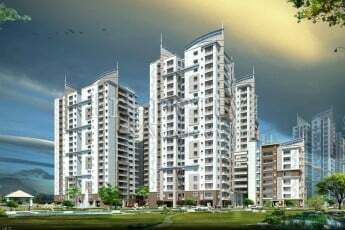 Vasavi GP Trends is the most prestigious and Iconic venture of VASAVI Group. This is coming with only 1 tower with 24 levels in 2.17 acres covering only 35% of land, remaining 65% area is a open space with greeneries, water bodies, visitor parking, jogging track, children play area, out door games, etc. Vasavi GP Trends have 3 level cellar parking, stilt, and first floors are for entrance lobbies with 23,000 sft club house, and also every sixth floor has a common area of 16 X 50 feet used for special amenities. Vasavi GP Trends, is a residential APARTMENT Project is located at Nanakramguda, Hyderabad. Property adviser team started following Vasavi GP Trends from 05 Oct 2016. This APARTMENT has 3BHK, 4BHK Flats with total built-up area ranging from 1660 Sq. Ft to 4560 Sq. Ft constructed by Vasavi Group. Out of 240 units, 44 units are available. It is a Fully Gated community that is in an occupancy of 10-12 Months. The price of the APARTMENT ranges from Rs. 98.9 Lakhs to Rs. 2.72 Crores at Rs. 5600/- Price per square feet. Till now, our team visited Vasavi GP Trends 30 times. Our most recent project visit was on 17 Apr 2019 when we collected details about price changes, available units and took photos showing the progress of construction, materials used, and so on. So far, the project has 152 photos starting from the early stage of construction till the date of possession. There are photos of the street view, flat floor view, elevation, roads, parks, and so on. 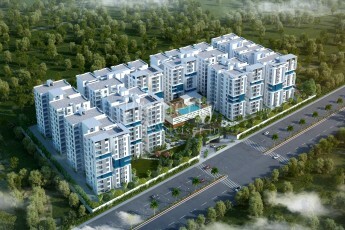 This Project is approved by GHMC, which is spread over an area of 2.2 Acre land area with total of 24 Floor. Vasavi GP Trends project has Bank Loans available from HDFC, LIC, SBI, PNB, ICICI, KVB bank(s). 3BHK East facing flats are available with 5 units for sale out of 24 units. 3BHK East facing flats are available with 6 units for sale out of 24 units. 3BHK East facing flats are available with 7 units for sale out of 24 units. 3BHK East facing flats are available with 0 units for sale out of 24 units. 3BHK West facing flats are available with 5 units for sale out of 24 units. 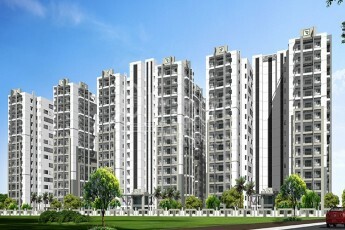 3BHK West facing flats are available with 6 units for sale out of 24 units. 3BHK West facing flats are available with 2 units for sale out of 24 units. 4BHK East facing flats are available with 1 units for sale out of 24 units. The Vasavi GP Trends project is elegantly designed with modern amenities such as Lift, Swimming Pool, Yoga & Meditation Hall, 24 Hrs Security Personal, Childrens Play Area, Gym/Fitness Centre, Rainwater Harvesting pits, Jogging Track, Basket Ball court, High Speed Internet Access, CCTV Surveillance, Multipurpose Hall, Intercom Phone, Power Backup, Green Landscaping, Fire Alarm, and so on. The apartment has all the modern amenities that will ensure that you don't have to step out of your apartment to enjoy all these facilities. 152 Progress Photos from Last 30 Months are Available. Till now the project is updated 30 times and has 152 construction photos with street view, flat floor view, elevation, roads, parks etc. The residential project is located at Nanakramguda, Hyderabad. Avail Seller Contact Details on one click to get your dream home site visit. This Project is constructed by Vasavi Group, reach seller by Contacting to Suresh. You can reach them on these numbers or visit them to view model flat and finalize your dream home.